By Randal K. Quarles, Federal Reserve Vice Chairman For Supervision At The Brookings Institution, Washington, D.C. Thank you to Brookings for inviting me to speak today. It is an honor and pleasure to talk to you about the next chapter in stress testing, particularly before this extremely distinguished audience of Brookings scholars that includes former Chairs, Vice Chairs, and senior leaders of the Federal Reserve who did the hard foundational work of developing and implementing this new approach to the assessment of bank resiliency. In these circumstances, my discussing changes to our stress testing regime could sound uncomfortably close to the serene arrogance of Alfonso X of Castile, who famously said that “Had I been present at the creation, I would have given some useful hints for the better ordering of the universe.” My thoughts today, however, are not a call to rewrite Genesis, but rather a recognition that our stress testing regime–like the banking and financial system that it evaluates–will and should evolve as we continue to learn from experience in the management of this tool. In the best traditions of the Federal Reserve, this evolution should be grounded in rigorous analysis of the facts and a commitment to continual improvement of our methods. In my remarks today, I will begin with what has been successful about the stress tests and why those elements should remain. I will then spend some time discussing some of the changes we have proposed to our stress testing program, and how we are now thinking about moving forward with those changes. After that, I will discuss the tension between, on the one hand, providing additional information to the firms, while, on the other hand, ensuring that the tests remain effective. And last, I will close with some thoughts on the “qualitative” element of our stress testing program. The adjustments I will discuss are intended to increase both the transparency and the efficiency of the stress testing regime. Enhanced transparency goes to the very core of democratic accountability and the rights of all U.S. citizens–including the management and shareholders of the institutions that are subject to the stress tests–to understand the requirements to which they are subject. It also helps ensure the continued credibility of our regime. Let me begin with a short discussion of the core elements of our stress testing program. As you know, one of the most visible aspects of our stress testing program is that the firms and the public receive an independent view of the capital adequacy of the largest banks. The results are based on our own models and provide a consistent yardstick to measure resiliency across the banking system. But the stress test conducted by the Federal Reserve is only one part of our stress testing regime. Just as important, we require each firm to run its own stress test, using its own models and a stressful scenario that reflects the firm’s assessment of its idiosyncratic risks and key vulnerabilities. Underpinning a firm’s stress test is the firm’s ability to identify and measure risks under normal and stressful conditions and the strength of the firm’s internal processes, and we use the supervisory process to ensure that the firms’ stress testing practices employ sound methodologies. The combination of the Federal Reserve’s common yardstick, the firm’s own stress tests, and supervisory oversight over the firms’ practices has resulted in a meaningful increase in the post-stress resiliency of large financial institutions. All of these core components will remain in place. Further, the changes I’ll speak about today are not intended to alter materially the overall level of capital in the system or the stringency of the regime. A healthy U.S. economy relies on a strong, well-capitalized banking system that can weather stressful events and continue lending to households and businesses. The U.S. banking organizations subject to the 2018 Comprehensive Capital Analysis and Review (CCAR)–the Fed’s evaluation of capital adequacy for large holding companies–have increased the dollar amount of their common equity tier 1 (CET1) capital from around $500 billion in 2009 to more than $1.2 trillion as of the second quarter of this year, and have more than doubled CET1 risk-based capital ratios from approximately 5 percent to over 12 percent over the same period. While the regime has been successful overall, I believe it is prudent to review all our practices to ensure that they are as efficient and transparent as possible and that they remain appropriate in light of changes in the industry that have been achieved. For instance, as firms become more resilient, they may no longer need to build capital to support their current level of risk taking, but rather move into the mode of retaining the capital they have already built. Firms have also significantly improved their risk management, providing room to adjust our approach to assessing capital planning practices. Finally, as we make changes to our regime, the issue of volatility in the stress test results becomes more pronounced. As I’ll discuss, we are considering how to balance the need to preserve the dynamism in stress testing with the need to ensure that firms have sufficient notice regarding the capital requirements to which they are held. Many of you are familiar with the Federal Reserve’s proposal to integrate the stress test with the regulatory capital rule–known as the stress capital buffer (SCB).1 I believe the SCB proposal represents an important milestone as we enter the next chapter of our stress testing regime. For those who are not familiar with the SCB, let me provide a little background about how our capital rule currently works, and how it would be modified by the SCB. As devoted readers of our capital rules may know, our regulatory capital rule includes both minimum capital requirements and a buffer that sits on top of those minimum requirements. The buffer serves as an early warning to a firm and to supervisors, and it requires the firm to reduce its capital distributions as the firm approaches the minimum requirements. Under the current capital rule, all firms are subject to a fixed buffer requirement of 2.5 percent of risk-weighted assets–the largest firms are also subject to a global systemically important bank surcharge and potential countercyclical capital buffer. For large firms, the SCB would replace the fixed 2.5 percent risk-based buffer with a firm-specific buffer the size of which would be based on the firm’s stress test results. In this way, we are integrating the automatic restrictions on capital distributions in the current capital rule with the output of the most dynamic tool we have for assessing risk–the stress test–to create a more robust and dynamic regulatory capital regime. The SCB would also result in a more transparent and simplified system of regulatory capital requirements, because a firm will be held to a single, integrated capital regime. When we made our SCB proposal last April, we had aimed to make the SCB final for the 2019 stress test cycle. However, the comments we received have been extensive and thoughtful, and have raised issues that require a carefully considered response. While I don’t believe these issues will prevent us from ultimately implementing the SCB, they have flagged certain elements of the regime that could benefit from further refinement. Accordingly, I expect we will adopt a final rule in the near future that will settle the basic framework of the SCB, but re-propose certain elements. To enable this process to run its course, I expect that the first SCB would not go into effect before 2020. Returning to the SCB proposal, I would like to give you a sense of the comments we received and our approach to addressing those concerns. The issue foremost on my mind is the volatility of the stress test results. One concern frequently expressed is that the results of the supervisory stress test can lead to capital requirements that change significantly from year to year, which limits a firm’s ability to manage its capital effectively. Some amount of volatility is necessary to preserve the dynamism of the stress test–by nature, the stress test will differ year-over-year based on macroeconomic conditions and contemporary understanding of salient risks in the economy. In addition, the stress test results are sensitive to changes in a firm’s balance sheet, which means that a firm’s capital requirements will evolve as the firm’s activities and exposure evolve. However, I do think there is an important balance to be struck between preserving this dynamism and ensuring that firms have sufficient notice regarding the capital requirements to which they are held. In the first years after the financial crisis, as the banking system was dramatically ramping up the total amount of capital in the system, this volatility was less of a management problem: until we reached reasonably full capitalization, each year every bank needed to increase its capital. If one year that increment was a little higher or a little lower than the previous year, that was simply a modest difference of velocity, not direction. At the current juncture, however, both our system as a whole and each of the largest banks in that system are fully meeting their capital requirements. In these circumstances, having a highly variable capital requirement presents a significant management challenge. We are considering ways of preserving the dynamism of stress testing while reducing its volatility, and plan to seek comment on a proposal in this area in the not-too-distant future. In addition, we are also exploring ways of improving our approach to measuring risks in the trading book. Firms’ trading books are dynamic and complex, as firms hold both long and short positions. Many have noted that a single market shock does not adequately capture risks in firms’ trading book, and we agree with those comments. We are exploring ways to incorporate multiple market shocks in our stress test without adding volatility to the results and without increasing the compliance burden. We are also considering adjusting another element of the SCB proposal in order to provide more notice to firms. Currently, and under the SCB proposal, a firm must decide whether to increase or decrease its planned dividends and share repurchases for the upcoming year without knowledge of a key constraint: the results of the stress test. In other words, we require a firm to give us a formal plan for dividends and stock repurchases without knowing what its effective capital requirement is. If it guesses wrong, it could be publicly shamed for failing the stress test (if its dividends are too high relative to capital), or penalized in the markets for inadequate distribution of income (if its dividends are too low relative to capital). Now, while this might at first blush appear to be pointless and obdurate cruelty, the reasoning behind the practice was initially perfectly sensible: it reflected the view that firms should think rigorously about their capital uses and needs in developing their capital distribution plans, rather than rely primarily on the results of the supervisory stress test to guide those plans. Now that we all have several years’ experience with this system, however, firms have told us that they would be able to engage in more thoughtful capital planning if they had knowledge of that year’s stress test results before finalizing their distribution plans for the upcoming year. I am sympathetic to their concerns, and will ask the Board to adjust the operation of the rule so that firms know their SCB before they decide on their planned distributions for the coming year. This adjustment in sequence will also help firms manage volatility in the SCB. We expect firms to continue to maintain robust stress testing practices and use those results to inform their capital distribution plans, and we will continue to use the supervisory process to reinforce this expectation. The comments also highlighted an issue with how the capital buffers operate today, which is amplified by the inherent volatility of the SCB. As I noted earlier, a firm operating in its capital buffer is required to reduce its capital distributions so that it can build capital over time. By design, the buffer was intended to apply increasingly stringent limitations as the firm’s capital ratios decline. But, in our current world in which a healthy and profitable banking system is seeking to maintain its capital levels rather than continue to increase them, a bank will appropriately and safely tend to distribute much or all of its income in any given year. In that case, the operation of the buffer would not result in a proportional restriction of income as the firm’s capital eases, but could be a sudden cessation of all dividends if the firm dips into the buffer by even a small amount, even if the changes in its capital levels are quite minor. We are considering adjustments that would make the rules more consistent with the graduated intent. We plan to work with the other banking agencies to consider how best to effect this change. There are two additional elements of the SCB proposal that I believe would benefit from modification. First, the SCB proposal would have included four quarters of dividends in a firm’s SCB, in recognition of the fact that firms experience market pressure to hold dividends constant, even under stress. In my view, there may be ways of encouraging greater reliance on less sticky repurchases while providing more flexibility in the regime, and we are exploring alternatives. Last, the SCB proposal would have included a post-stress leverage requirement. As the Federal Reserve has long maintained, leverage requirements are intended to serve as a backstop to the risk-based capital requirements. By definition, they are not intended to be risk-sensitive. Thus, I am concerned that explicitly assigning a leverage buffer requirement to a firm on the basis of risk-sensitive post-stress estimates runs afoul of the intellectual underpinnings of the leverage ratio, and I would advocate removing this element of the stress capital buffer regime. Of course, leverage ratios, including the enhanced supplementary leverage requirements, would remain a critical part of our regulatory capital regime, and we will maintain the supervisory expectation that firms have sufficient capital to meet all minimum regulatory requirements. Together, the adjustments we are contemplating to the SCB offer promise in improving the efficiency, coherence, and transparency of the regulatory capital regime while maintaining the overall level of capital in the system and the core principles of the regime that have proven successful. That being said, we welcome a continued dialogue with the public as we implement these changes, and through that implementation, we will ensure that we maintain the incentives for effective stress testing practices that exist today. Transparency of the stress test and its inputs and outputs is key to the credibility of the stress test, and there are several initiatives underway to provide additional transparency regarding the supervisory stress test models and scenario design process. We believe that the adjustments under development strike the right balance of advancing transparency, while maintaining incentives for firms to think critically about their own risks. I expect that soon you will see the Federal Reserve issue a policy statement describing governing principles around the supervisory stress testing process. As a part of that statement, I would expect a commitment to disclose additional detail about supervisory stress test models and results and to publish portfolios of hypothetical loans and associated loss rates. I expect that we will begin providing some of this additional detail starting in early 2019, and that these changes will allow firms to benchmark the results of their own models against those of the supervisory models. However, our commitment to transparency does not end there. We are currently considering options to provide additional transparency regarding scenarios and scenario design and I expect that the Board will seek comment on the advisability of, and possible approaches to, gathering the public’s input on scenarios and salient risks facing the banking system each year. Such a proposal may also provide additional details about the scenario design features that underpins each year’s scenarios, and a range of other enhancements. Additional transparency regarding the stress test scenarios serves multiple purposes: it both provides additional due process to affected participants, and provides additional sources of insight–including from academics and thought leaders like many of you in this room–that could be used to inform a given year’s scenario. Increased transparency could also enable us to be more nimble in our scenario design to the extent we uncover through external input new salient risks that we have not previously considered. As we develop proposals, a key consideration is to ensure that we maintain incentives for firms to conduct their own stress tests rigorously and thoughtfully. Firms have indicated that additional disclosure about models would not affect their own stress tests. We expect them to make good on that representation, as the Federal Reserve’s stress test is not, and cannot be, a full picture of a firm’s resiliency in light of its idiosyncratic risks. For example, there is some risk that firms will use knowledge from additional transparency about the stress test to engage in transactions that are solely designed to reduce losses in the test, but that do not truly reduce risk in their portfolios. As supervisors, however, this is something that we can guard against through the regular examination process. We will closely monitor changes in firms’ portfolios and take appropriate actions to ensure firms are holding sufficient capital, and have sufficient controls and governance, in light of the risk characteristics of their activities. Before I close, I would like to say a few words about the role of the qualitative objection in our new chapter of stress testing. As originally conceived, CCAR had both a quantitative component–based on the supervisory stress test–and a qualitative component–based on the Federal Reserve’s assessment of a firm’s stress testing practices. 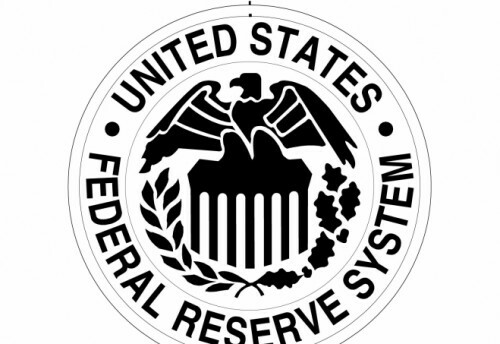 In 2017, the Federal Reserve eliminated the qualitative objection as part of CCAR for large and noncomplex firms, in part because of improvements in risk management at these firms.3 By incorporating supervisory stress testing into the regulatory capital regime and introducing an automatic penalty if a firm falls below its SCB-derived capital requirement, the SCB proposal will eliminate the quantitative objection from CCAR. The natural next question is: has the CCAR qualitative objection for the largest firms also run its course? In my view, the time has come to normalize the CCAR qualitative assessment by removing the public objection tool, and continuing to evaluate firms’ stress testing practices through normal supervision. In such an environment, firms would remain subject to the same supervisory expectations, and examiners would continue to conduct rigorous horizontal and firm-specific assessments of a firm’s capital positions and capital planning, tailored to the risk profile of the firm. While much of the examination work would center on a firm’s capital plan submissions, examination work would continue on a year-round basis, taking into account the firm’s management of other financial risks. The evaluation of the firm’s capital position and capital planning would culminate in a rating of the firm’s capital position and planning. Firms with deficient practices would receive supervisory findings through the examination process, and would be at risk of a ratings downgrade or enforcement action if those deficiencies were sufficiently material. As we begin the next chapter in stress testing, my objective is to ensure the continued credibility of the program by increasing its transparency, simplicity, and stability while maintaining the strength of the supervisory and internal stress testing elements that are central to the program today. These adjustments will be coupled with our continued commitment to strong supervision and our expectation that financial institutions ensure they are managing their risks and holding sufficient capital to continue operations through times of stress. Amendments to the Regulatory Capital, Capital Plan, and Stress Test Rules (PDF), 83 Fed. Reg. 18,160 (April 25, 2018). See Board of Governors of the Federal Reserve System, “Federal Reserve Board invites public comment on framework that would more closely match regulations for large banking organizations with their risk profiles,” news release, October 31, 2018. The capital planning evaluation remains as part of the normal supervisory process for these firms.